Not to be confused with Neuroborreliosis. Chronic Lyme disease (not to be confused with Lyme disease) is a generally rejected diagnosis that encompasses "a broad array of illnesses or symptom complexes for which there is no reproducible or convincing scientific evidence of any relationship to Borrelia burgdorferi infection." Despite numerous studies, there is no clinical evidence that "chronic" Lyme disease is caused by a persistent infection. It is distinct from post-treatment Lyme disease syndrome, a set of lingering symptoms which may persist after successful treatment of infection with Lyme spirochetes. The symptoms of "chronic Lyme" are generic and non-specific "symptoms of life". A number of alternative health products are promoted for "chronic Lyme disease", of which possibly the most controversial and harmful is long-term antibiotic therapy, particularly intravenous antibiotics. Recognised authorities advise against long-term antibiotic treatment for Lyme disease, even where some symptoms persist post-treatment. Following disciplinary proceedings by State medical licensing boards in the United States, a subculture of "Lyme literate" physicians has successfully lobbied for specific legal protections, exempting them from the standard of care and Infectious Diseases Society of America treatment guidelines. This political interference in medical care has been criticised as an example of "legislative alchemy", the process whereby pseudomedicine is legislated into practice. 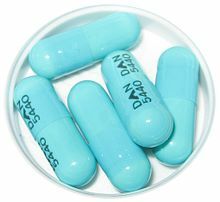 There are risks associated with long-term use of antibiotics, such as doxycycline, by people who believe they have chronic lyme disease. The term chronic Lyme disease is distinct from untreated late-stage Lyme disease, which can cause arthritis, peripheral neuropathy and/or encephalomyelitis. Chronic Lyme disease is also distinct from the 'post-treatment Lyme disease syndrome' (PTLDS)", when symptoms linger after standard antibiotic treatments. PTLDS is estimated to occur in less than 5% of people who had Lyme disease and were treated. In many cases there is no objective evidence that people who believe they have chronic Lyme have ever been infected with Lyme disease: standard diagnostic tests for infection are often negative. While it is undisputed people can have severe symptoms of an illness, the cause and appropriate treatment promoted by "chronic Lyme" advocates are controversial. The symptoms represent "for all intents and purposes" fibromyalgia or chronic fatigue syndrome. A few doctors attribute these symptoms to persistent infection with Borrelia, or co-infections with other tick-borne pathogens, such as Ehrlichia and Babesia. Some conclude that the initial infection may cause an autoimmune reaction that continues to cause serious symptoms even after the bacteria have been eliminated by antibiotics. A review looked at several animal studies that found persistence of live but disabled spirochetes following treatment of B. burgdorferi infection with antibiotics. The authors noted that none of the lingering spirochetes were associated with inflamed tissues and criticized the studies for not considering adequately the different pharmacodynamics and pharmacokinetics of the antibiotics used to treat the animals in the trials versus what would be expected to be used to treat humans. The authors concluded, "There is no scientific evidence to support the hypothesis that such spirochetes, should they exist in humans, are the cause of post-Lyme disease syndrome." Major US medical authorities, including the Infectious Diseases Society of America, the American Academy of Neurology, and the National Institutes of Health, have stated there is no convincing evidence that Borrelia is involved in the various symptoms classed as chronic Lyme disease, and particularly advise against long-term antibiotic treatment as it is ineffective and potentially harmful. Prolonged antibiotic therapy presents significant risks and can have dangerous side effects. Randomized placebo-controlled studies have shown that antibiotics offer no sustained benefit in people with "chronic Lyme", with evidence of both placebo effects and significant adverse effects from such treatment. A pressure group called the International Lyme and Associated Diseases Society (ILADS) argues the persistence of B. burgdorferi may be responsible for manifestations of late Lyme disease symptoms. While there is general agreement on the optimal treatment for early Lyme disease, the existence of chronic Lyme is generally rejected and there is no consensus even among advocates over its prevalence, diagnostic criteria, or treatment. The evidence-based perspective is exemplified by a 2007 review in The New England Journal of Medicine, which noted the diagnosis of chronic Lyme disease is used by a few physicians despite a lack of "reproducible or convincing scientific evidence", leading the authors to describe this diagnosis as "the latest in a series of syndromes that have been postulated in an attempt to attribute medically unexplained symptoms to particular infections." Medical authorities agree with this viewpoint: the Infectious Diseases Society of America (IDSA), the American Academy of Neurology, the Centers for Disease Control and Prevention (CDC), and the National Institutes of Health (NIH), advise against long-term antibiotic treatment for chronic Lyme disease, given the lack of supporting evidence and the potential toxicities. A minority, primarily not medical practitioners, holds that chronic Lyme disease is responsible for a range of unexplained symptoms, sometimes in people without any evidence of past infection. This viewpoint is promoted by many who have been told they have the condition. Groups advocates and the small number of physicians who support the concept of chronic Lyme disease have organized to lobby for recognition of this diagnosis, as well as to argue for insurance coverage of long-term antibiotic therapy, which most insurers deny, as it is at odds with the guidelines of major medical organizations. In 2006, Richard Blumenthal, the Connecticut Attorney General, opened an antitrust investigation against the IDSA, accusing the IDSA Lyme disease panel of undisclosed conflicts of interest and of unduly dismissing alternative therapies and chronic Lyme disease. The investigation was closed on May 1, 2008, without charges when the IDSA agreed to submit to a review of its guidelines by a panel of independent scientists and physicians which would occur on July 30, 2009, citing mounting legal costs and the difficulty of presenting scientific arguments in a legal setting. The medical validity of the IDSA guidelines was not challenged, and a journalist writing in Nature Medicine suggested some IDSA members may not have disclosed potential conflicts of interest, while a Forbes piece described Blumenthal's investigation as "intimidation" of scientists by an elected official with close ties to Lyme advocacy groups. The Journal of the American Medical Association described the decision as an example of the "politicization of health policy" that went against the weight of scientific evidence and may have a chilling effect on future decisions by medical associations. The expert panel's review was published in 2010, with the independent doctors and scientists in the panel unanimously endorsing the guidelines, stating "No changes or revisions to the 2006 Lyme guidelines are necessary at this time," and concluding long-term antibiotic treatments are unproven and potentially dangerous. The IDSA welcomed the final report, stating that "Our number one concern is the patients we treat, and we're glad patients and their physicians now have additional reassurance that the guidelines are medically sound." The state of Connecticut, meanwhile, enacted a law on June 18, 2009, "to allow a licensed physician to prescribe, administer or dispense long-term antibiotics for a therapeutic purpose to a patient clinically diagnosed with Lyme disease." The states of Rhode Island, California, Massachusetts, New Hampshire, Vermont, New York, Maine and Iowa  have similar laws. Massachusetts (2016) and Rhode Island (2003) have laws mandating insurance coverage for long-term antibiotic therapy for Lyme disease when deemed medically necessary by a physician. In 1999 Connecticut had passed a similar, though somewhat more restrictive law. Paul G. Auwaerter, director of infectious disease at Johns Hopkins School of Medicine, cited the political controversy and high emotions as contributing to a "poisonous atmosphere" around Lyme disease, which he believes has led to doctors trying to avoid having Lyme patients in their practices. In 2001, The New York Times Magazine reported that Allen Steere, chief of immunology and rheumatology at Tufts Medical Center and a co-discoverer and leading expert on Lyme disease, had been harassed, stalked, and threatened by patients and patient advocacy groups angry at his refusal to substantiate their diagnoses of "chronic" Lyme disease and endorse long-term antibiotic therapy. Because this intimidation included death threats, Steere was assigned security guards. The media frequently disregard complex scientific data in favor of testimonials about patients suffering from purported chronic Lyme disease and may even question the competence of clinicians who are reluctant to diagnose chronic Lyme disease. All these factors have contributed to a great deal of public confusion with little appreciation of the serious harm caused to many patients who have received a misdiagnosis and have been inappropriately treated. [Under Our Skin] embraces, with bits and pieces of skimpy evidence and a whole lot more paranoid leftist fervor, the notion that "chronic Lyme disease" is a condition that the medical establishment is locked in a conspiracy to deny the existence of. The filmmakers actually bungle what should have been their real subject (that the belief in chronic Lyme disease has become something of a cult, one that can ruin the lives of the people who think they have it). But the bottom line, to me, is that Under Our Skin is not a very well-made movie. ^ a b c d e Feder, HM; Johnson, BJB; O'Connell, S; et al. (October 2007). "A Critical Appraisal of "Chronic Lyme Disease"". NEJM. 357 (14): 1422–30. doi:10.1056/NEJMra072023. PMID 17914043. ^ Baker, P. J. (14 July 2010). "Chronic Lyme disease: in defense of the scientific enterprise". The FASEB Journal. 24 (11): 4175–4177. doi:10.1096/fj.10-167247. PMID 20631327. ^ Hall, Harriet (2013-09-03). "Does Everybody Have Chronic Lyme Disease? Does Anyone?". Science Based Medicine. ^ McSweegan, Edward. "Lyme Disease: Questionable Diagnosis and Treatment". Quackwatch. ^ Lantos PM (June 2015). "Chronic Lyme disease". Infect. Dis. Clin. North Am. (Review). 29 (2): 325–40. doi:10.1016/j.idc.2015.02.006. PMC 4477530. PMID 25999227. ^ Salzberg, Steven (2016-04-04). "Long-Term Antibiotic Use For Lyme Disease Doesn't Work, Study Finds". Forbes. ^ a b c Wormser GP; Dattwyler RJ; Shapiro ED; et al. (November 2006). "The clinical assessment, treatment, and prevention of lyme disease, human granulocytic anaplasmosis, and babesiosis: clinical practice guidelines by the Infectious Diseases Society of America" (PDF). Clin. Infect. Dis. 43 (9): 1089–1134. doi:10.1086/508667. PMID 17029130. ^ a b c Halperin JJ, Shapiro ED, Logigian E, et al. (July 2007). "Practice parameter: treatment of nervous system Lyme disease (an evidence-based review): report of the Quality Standards Subcommittee of the American Academy of Neurology". Neurology. 69 (1): 91–102. doi:10.1212/01.wnl.0000265517.66976.28. PMID 17522387. ^ a b c ""Chronic Lyme Disease" Fact Sheet". National Institute of Allergy and Infectious Diseases. April 17, 2009. Archived from the original on 11 June 2015. ^ Mason DJ, Leavitt JK, Chaffee MW (2014). Policy & Politics in Nursing and Health Care. Elsevier Health Sciences. pp. 310–311. ISBN 978-0323316064. ^ Warner, Susan (2007-02-07). "State official subpoenas infectious disease group". The Scientist. ^ Bellamy, Jann (2014-05-15). "Legislative Alchemy 2014 (so far)". Science Based Medicine. ^ "CDC - Post Lyme Disease Syndrome - Lyme Disease". Cdc.gov. February 7, 2013. Retrieved July 5, 2013. ^ Cairns V, Godwin J (December 2005). "Post-Lyme borreliosis syndrome: a meta-analysis of reported symptoms". Int J Epidemiol. 34 (6): 1340–45. doi:10.1093/ije/dyi129. PMID 16040645. ^ Bope, Edward T.; Kellerman, Rick D. (2012). Conn's Current Therapy 2013: Expert Consult: Online. Elsevier Health Sciences. p. 151. ISBN 978-1455733347. ^ "Ten Facts You Should Know About Lyme Disease". Infectious Diseases Society of America. May 10, 2011. Retrieved June 18, 2013. ^ Wolfe F (April 2009). "Fibromyalgia wars". J. Rheumatol. 36 (4): 679–83. doi:10.3899/jrheum.081180. PMID 19342721. ^ Cameron D; Johnson LB; Maloney EL (2004). "Evidence assessments and guideline recommendations in Lyme disease: the clinical management of known tick bites, erythema migrans rashes and persistent disease". Expert Rev Anti Infect Ther. 12 (9): 1103–35. doi:10.1586/14787210.2014.940900. PMC 4196523. PMID 25077519. Archived from the original on 2017-02-08. Retrieved 2017-02-08. ^ Phillips, S (2006-07-30). "Lyme Disease Review Panel Hearing". Infectious Diseases Society of America. Retrieved 2010-12-09. ^ Cameron DJ (2006). "Generalizability in two clinical trials of Lyme disease". Epidemiologic Perspectives & Innovations. 3: 12. doi:10.1186/1742-5573-3-12. PMC 1626453. PMID 17044928. ^ Ercolini AM, Miller SD (January 2009). "The role of infections in autoimmune disease". Clin. Exp. Immunol. 155 (1): 1–15. doi:10.1111/j.1365-2249.2008.03834.x. PMC 2665673. PMID 19076824. ^ Wormser GP, Schwartz I (July 2009). "Antibiotic treatment of animals infected with Borrelia burgdorferi". Clin. Microbiol. Rev. 22 (3): 387–95. doi:10.1128/CMR.00004-09. PMC 2708393. PMID 19597005. ^ Dolin, Gerald L Mandell, John E Bennett, Raphael, ed. (2010). Mandell, Douglas, and Bennett's principles and practice of infectious diseases (7th ed.). Philadelphia, PA: Churchill Livingstone/Elsevier. pp. Chapter 242. ISBN 978-0-443-06839-3. ^ Marques, Adriana (June 2008). "Chronic Lyme Disease: An appraisal". Infect Dis Clin North Am. 22 (2): 341–60. doi:10.1016/j.idc.2007.12.011. PMC 2430045. PMID 18452806. ^ a b c Tonks A (November 2007). "Lyme wars". BMJ. 335 (7626): 910–12. doi:10.1136/bmj.39363.530961.AD. PMC 2048873. PMID 17974685. ^ a b c d Ballantyne C (November 2008). "The chronic debate over Lyme disease". Nat. Med. 14 (11): 1135–9. doi:10.1038/nm1108-1135. PMID 18989271. ^ a b Whelan, David (2007-03-12). "Lyme Inc". Forbes. Retrieved 2008-06-24. ^ a b Landers, Susan J (2008-06-09). "Lyme treatment accord ends antitrust probe". American Medical News. Archived from the original on 11 June 2008. Retrieved 2008-06-24. ^ Klein JO (November 2008). "Danger ahead: politics intrude in Infectious Diseases Society of America guideline for Lyme disease". Clin. Infect. Dis. 47 (9): 1197–99. doi:10.1086/592247. PMID 18821849. ^ "Agreement Ends Lyme Disease Investigation By Connecticut Attorney General: Medical Validity of IDSA Guidelines Not Challenged" (Press release). Infectious Diseases Society of America. 2008-05-01. Retrieved 2017-05-19. ^ Kraemer JD, Gostin LO (February 2009). "Science, politics, and values: the politicization of professional practice guidelines". JAMA. 301 (6): 665–67. doi:10.1001/jama.301.6.665. PMID 19211474. ^ Singer, Stephen (2010-04-22). "No changes to Lyme disease treatment". Associated Press. ^ Special Review Panel Unanimously Upholds Lyme Disease Treatment Guidelines: Short-term Antibiotics Proven to be Best Treatment for Patients Infectious Diseases Society of America. April 22, 2010. ^ "An act concerning the use of long-term antibiotics for the treatment of Lyme disease". Connecticut General Assembly. 2009-06-18. Archived from the original on 14 November 2004. Retrieved 2009-07-05. ^ "Lyme Disease and the Law". Rhode Island Department of Health. 2009. Archived from the original on May 2, 2005. Retrieved 2009-07-05. ^ John Ferro (18 December 2014). "Cuomo signs bill safeguarding Lyme treatments". The Poughkeepsie Journal. Retrieved 29 August 2015. ^ "Maine Legislature clears way for long-term Lyme disease treatment". The Portland Press Herald / Maine Sunday Telegram. 2015-06-29. Retrieved 29 August 2015. ^ Brown, Steve (1 August 2016). "Mad Rush On Beacon Hill Sends 4 Key Bills To Baker's Desk As Legislative Session Ends". wbur.org. Morning Edition - WBUR. Retrieved 24 September 2016. ^ a b "Chapter 113". webserver.rilin.state.ri.us. Retrieved 24 September 2016. ^ "CHAPTER 700c HEALTH INSURANCE". ct.gov. Retrieved 29 August 2015. ^ Grann, David (2001-06-17). "Stalking Dr. Steere Over Lyme Disease". The New York Times Magazine. Archived from the original on 2 August 2009. Retrieved 2008-06-25. ^ Abbott A (February 2006). "Lyme disease: uphill struggle". Nature. 439 (7076): 524–25. doi:10.1038/439524a. PMID 16452949. ^ Cooper, JD, Jr.; Feder, HM (December 2004). "Inaccurate information about lyme disease on the internet". PediatrInfectDisJ. 23 (12): 11050–58. doi:10.1097/01.inf.0000145411.57449.f3 (inactive 2019-03-08). PMID 15626946. ^ "Film Focuses on Lyme Patients". The Washington Post. June 17, 2008. Retrieved September 12, 2008. ^ Holden, Stephen (2009-06-19). "Ticked Off". The New York Times. Retrieved 2017-06-28. ^ Gleiberman, Owen (20 November 2009). "Oscar documentary scandal: The real reason that too many good movies got left out". Entertainment Weekly. Retrieved 19 December 2017.